We will have our Annual HA Athletic Hall of Fame ceremony on January 26th starting at 3:00pm. We welcome everyone to come celebrate this year’s HOF inductees! 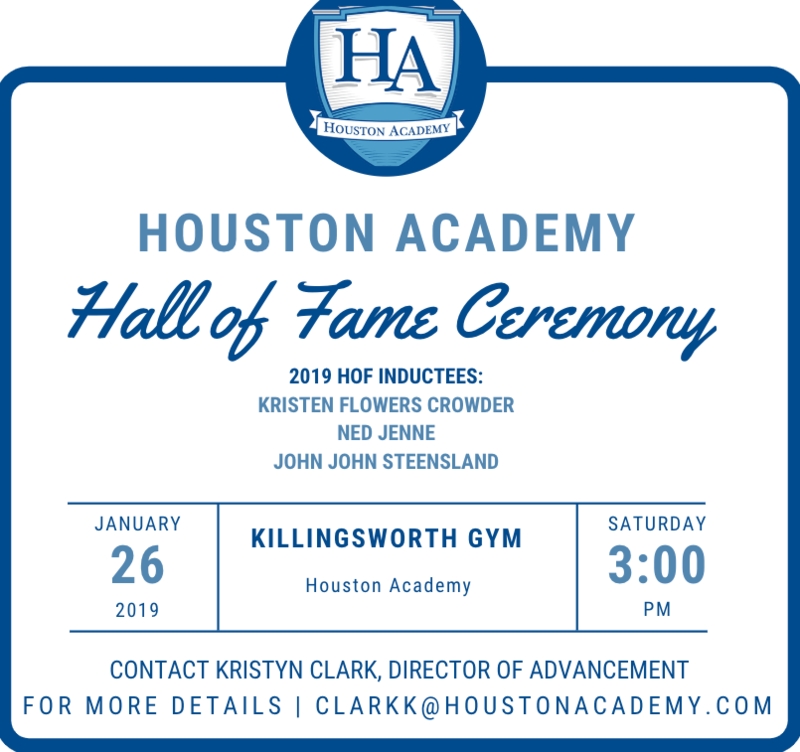 For more information please contact the Advancement Director, Kristyn Clark at clarkk@houstonacademy.com. 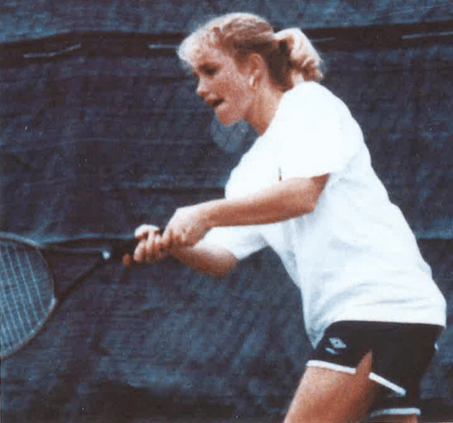 Kristen Flowers Crowder graduated from Houston Academy in 1993 as a phenomenal tennis player. Kristen is the only four-time HA tennis state championship winner in HA history. She was offered multiple scholarships & ultimately chose to play at Birmingham Southern College. She played #1 and #2 singles position throughout her 4 year tenure at BSC. She and her doubles partner were a top 10 team. Afterwards, Kristen graduated from the University of Alabama Birmingham’s school of Dentistry and then was accepted and completed her residency with in Pediatric Dentistry at UAB’s Children’s Hospital. She is now married to Charles Crowder and three children that attend Houston Academy. She is currently practicing pediatric dentistry full time here in Dothan. She states that tennis became a pathway to success for her, the discipline, work ethic, perseverance, determination, sacrifice, and commitment learned she uses in all aspects of her life now. 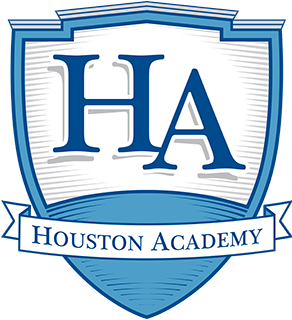 In 2016 the Houston Academy family joined together to fund the Ned Jenne Memorial Chemistry Lab to celebrate his life and legacy and to honor the impact that Ned had on the lives of the students and athletes he taught. John John Steensland graduated from Houston Academy in 1996 after a stellar basketball career. 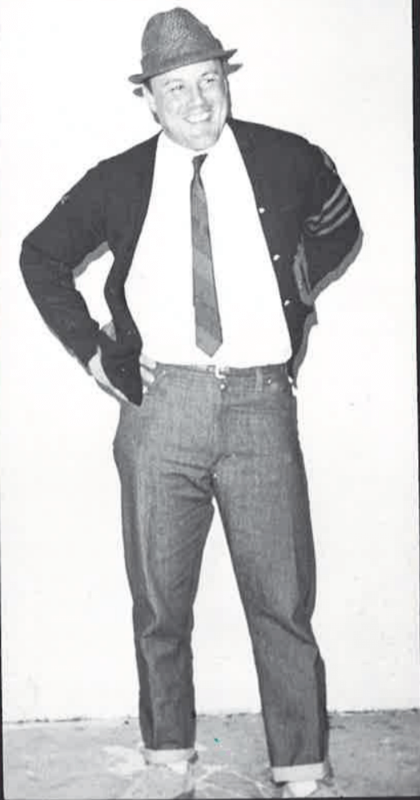 John John was a four-year starter at HA with the most career 3pts. After HA, he received an athletic scholarship to Georgia College and State University where he was a three-year starter and two-year captain. 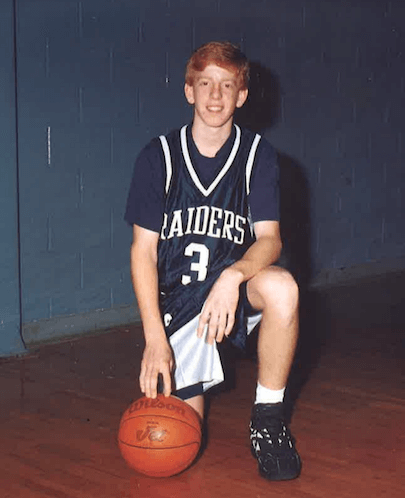 He finished his basketball career ranked in school history as: first in career 3pts made (now second), second in career steals, third in games played, and seventh in career assists. He is a three-time Peach Belt Athletic Conference Champion. John John was a participant in the 2000 Elite 8 NCAA Tournament and participated three times in the NCAA Tournament. In 2000 he was named the Defensive Player of the year. Mr. Steensland also made the Peach Belt Conference Academic Honor Roll. Upon graduating from GSU, John John furthered his education at The University of Alabama School of Law. John John practices law in Dothan and was elected Henry, Houston County Circuit Court Judge in 2018. He and his wife Kelsey have 5 children and 3 currently attend Houston Academy.